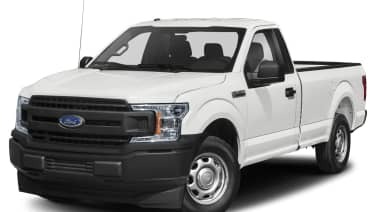 Ford is issuing a safety recall of certain F-150 and Super Duty pickup trucks equipped with engine block heaters that were already inspected as part of a recall in December into engine-block heater fire risks. F-150s from the 2015 to 2019 model years built at the Dearborn Truck Plant between March 18, 2014 and Nov. 17, 2018, and at the Kansas City Assembly Plant between Aug. 21, 2014 and Nov. 17, 2018. 2017-2019 F-Series Super Duty trucks built at the Ohio Assembly Plant between Feb. 5, 2016 and Nov. 17, 2018, and at the Kentucky Truck Plant, Oct. 8, 2015 to Nov. 17, 2018. During service for the previous recall, engine block heater cable splice connectors may have become damaged inadvertently. Ford says that could render the engine block heater inoperable, cause it to trip household breakers or GFCI-equipped outlets, or a resistive short, leading to increased risk of overheating or melted wiring, or a fire. All risks are present only when the vehicle is parked and the engine block heater cable is plugged into an electrical outlet, Ford says. Affected customers in the meantime should not use their engine block heater cable. Ford says it's aware of one fire in the United States and another in Canada that may be related to the issue after the vehicles were recalled. It also acknowledges a report in Canada of a fire in which the vehicle failed the earlier recall inspection procedure but says an inspection of the vehicle following the fire was not able to determine whether it was related to this issue. The company says it knows of no accidents or injuries related to the issue. Dealers will disable the engine block heater cables and seal the end caps with a silicone sealant, then notify customers when a replacement cable is available. The reference number for the recall is 19S11.